New user interface and customer journey to raise brand awareness and credibility, drive traffic to their retailers and collect user data. 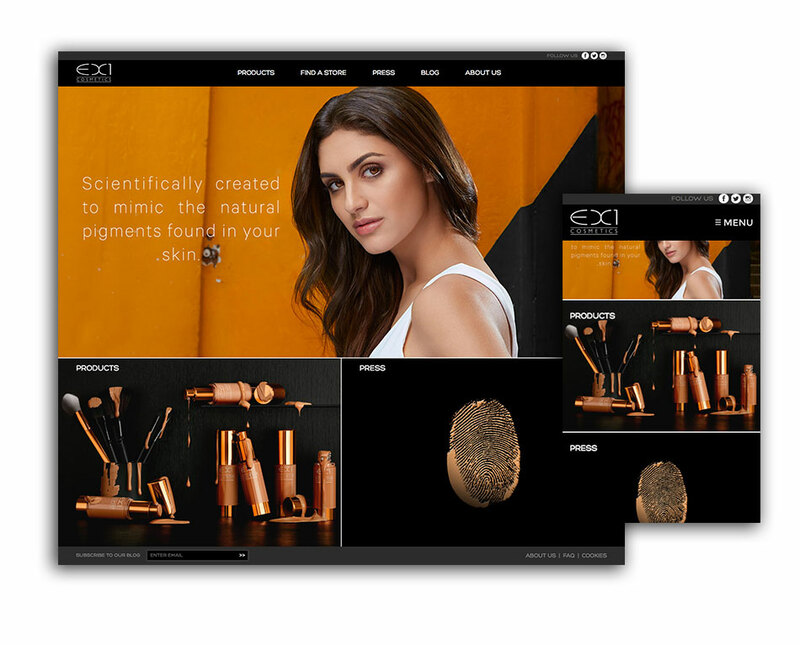 The EX1 Cosmetics brand was created by British award winning biochemist Farah Naz in 2013. 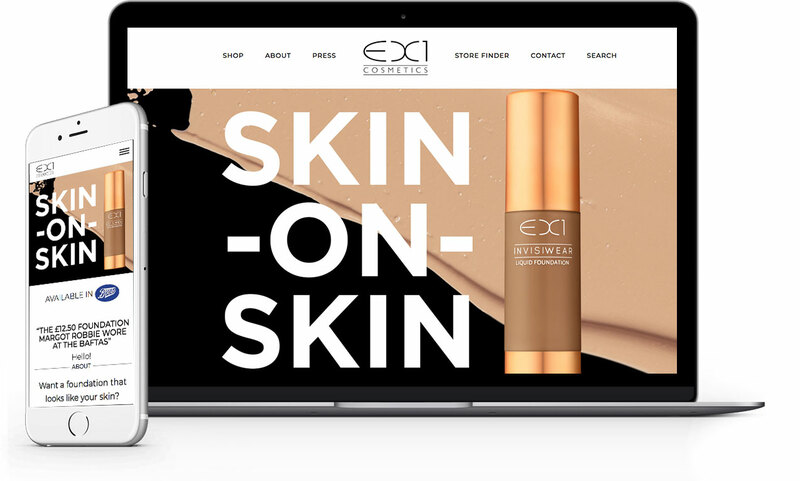 She aims to be the first mass market brand catering for olive skin with yellow undertones. Their old site was not very clear, dark and no clear user journey. The brand site did not reflect their ethos of friendly, cool, like a friend you admired. They also had strong celebrity reviews in the press and PR. 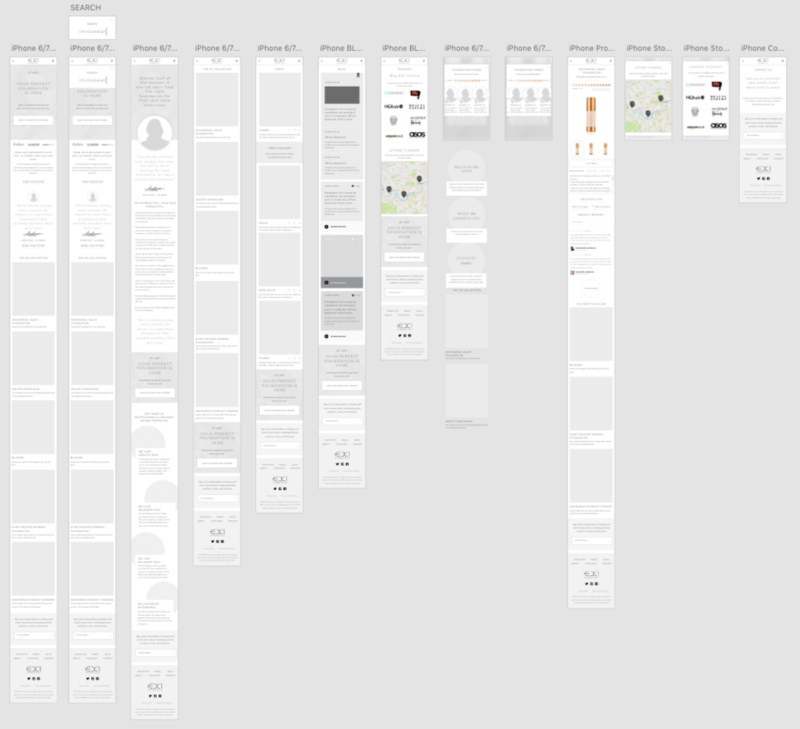 The new site UI design update needed to help her towards her goals and align with her other marketing activities. Working with Marketer, Nitesh Sharoff who supplied assets and content, strategy and sitemap, we created wireframes for desktop and mobile. Need help with your UI/UX design?